The present tense in Spanish is easy at first, but there are instances when the conjugation is not regular, and some changes appear on the verb. The reason behind this is that there are some irregular verbs that have some particularities and have an irregular present tense in Spanish. You have to learn these peculiarities in order to be able to speak properly in Spanish. There are several groups of verbs that have an irregular present tense in Spanish, and we are going to study them one by one. The first group is formed by verbs that add a -y- in the present tense for the first person singular, the second person singular, the third person singular, and the third person plural. 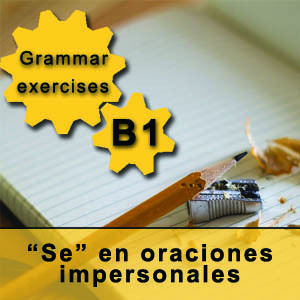 In these persons, a -y- is added between the root of the verb and the person ending. Pay attention to the verb oír (to hear), which is a little bit irregular, for in the first person singular substitutes the -y- by a -g- (yo oigo). The rest of the persons are conjugated in the same way. 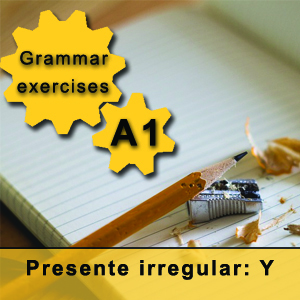 Download this grammar exercise, where you will find plenty of verbs to practice this type of irregular present tense in Spanish. The exercise is extracted from our Spanish grammar book, an easy reference book to understand and learn how the language works and is structured. 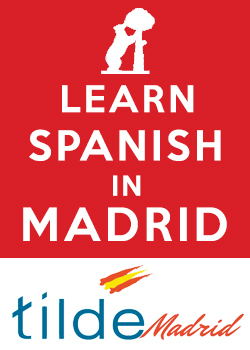 If you want to study the Spanish language further, and you want to learn Spanish with experienced native teachers in the cultural center of Madrid, have a look at our Madrid Spanish school.